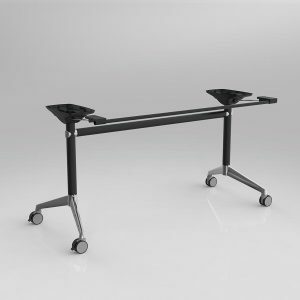 Modulus meeting table frame only to suit worksurface size of 760-900mm round/700-800mm square. Black poles and top plate, Polished Alloy 5 star base and connectors. Single post construction. Frame height 695mm high. 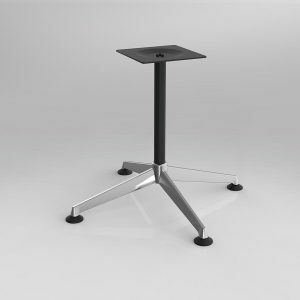 Modulus coffee table frame only to suit worksurface size of 400mm-700mm diameter or 400mm-600mm square. Black poles and top plate, Polished Alloy feet and connectors. Single post construction. Frame height 425mm high. 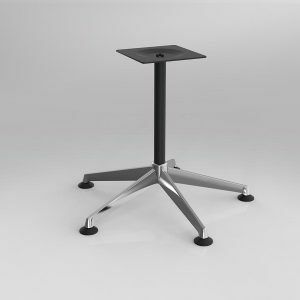 Modulus meeting table frame only to suit worksurface size of 400mm-700mm diameter or 400mm-600mm square. Black poles and top plate, Polished Alloy feet and connectors. Single post construction. Frame height 695mm high. 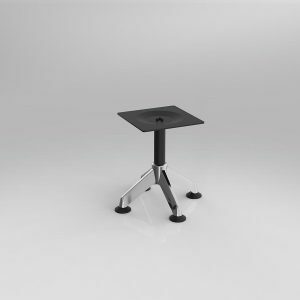 Modulus meeting table frame only to suit worksurface size of 800mm-1200mm diameter or 700mm-1000mm square. 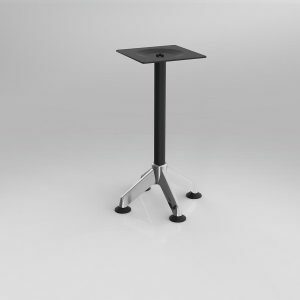 Black poles and top plate, Polished Alloy feet and connectors. Single post construction. Frame height 695mm high. 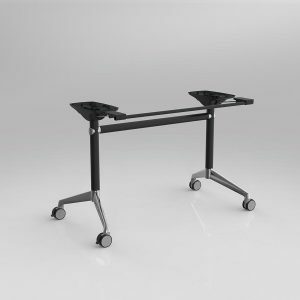 Modulus meeting table frame only to suit worksurface size of 1400-1900mm x 600-900mm. Black poles and rails, Polished Alloy feet and connectors. Small Fixed Leg. Single pole, single span construction. 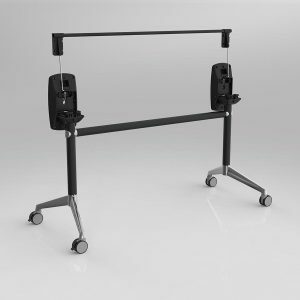 Modulus meeting table frame only to suit worksurface size of 1600-2100mm x 600-900mm. 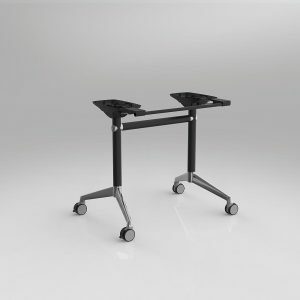 Black poles and rails, Polished Alloy feet and connectors. Small Fixed Leg. Single pole, single span construction. 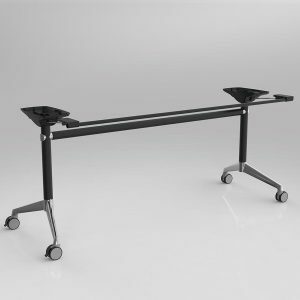 Modulus meeting table frame only to suit worksurface size of 1900-2400mm x 600-900mm. 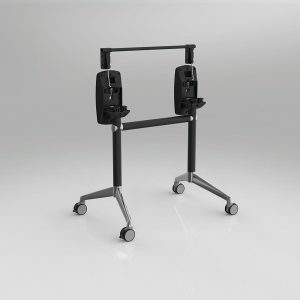 Black poles and rails, Polished Alloy feet and connectors. Small Fixed Leg. Single pole, single span construction. 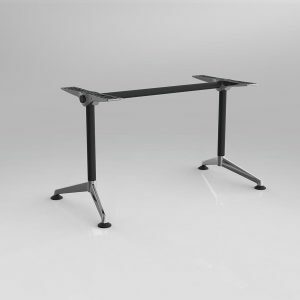 Modulus flip table frame only to suit worksurface size of 900-1300mm length x 600-900mm wide. Black poles and rails, Polished Alloy feet. 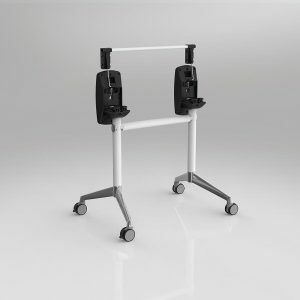 2 locking castors, mechanism incorporates one handed pull and safety stay upright locks. Includes 2 free pairs of fliptable links with each fliptable. 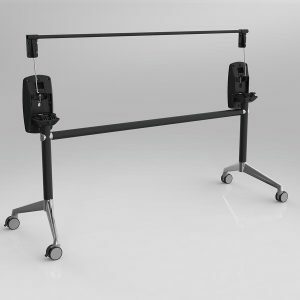 Modulus flip table frame only to suit worksurface size of 1200-1600mm length x 600-900mm wide. Black poles and rails, Polished Alloy feet. 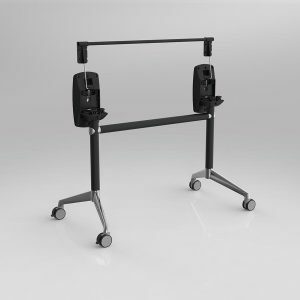 2 locking castors, mechanism incorporates one handed pull and safety stay upright locks. Includes 2 free pairs of fliptable links with each fliptable. 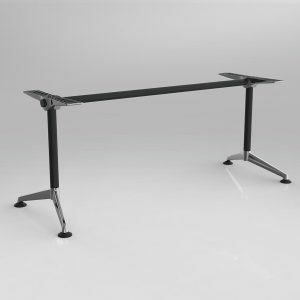 Modulus flip table frame only to suit worksurface size of 1500-1900mm length x 600-900mm wide. Black poles and rails, Polished Alloy feet. 2 locking castors, mechanism incorporates one handed pull and safety stay upright locks. Includes 2 free pairs of fliptable links with each fliptable. 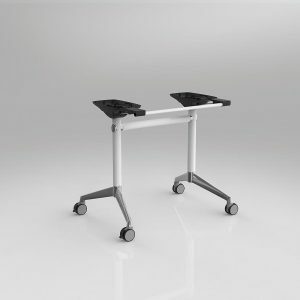 Modulus flip table frame only to suit worksurface size of 1800-2200mm length x 600-900mm wide. Black poles and rails, Polished Alloy feet. 2 locking castors, mechanism incorporates one handed pull and safety stay upright locks. Includes 2 free pairs of fliptable links with each fliptable. 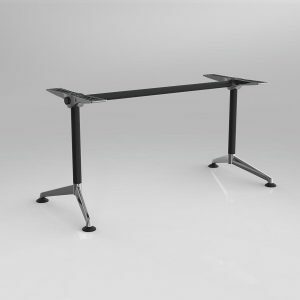 Modulus flip table frame only to suit worksurface size of 900-1300mm length x 600-900mm wide. White poles and rails, Polished Alloy feet. 2 locking castors, mechanism incorporates one handed pull and safety stay upright locks. Includes 2 free pairs of fliptable links with each fliptable.